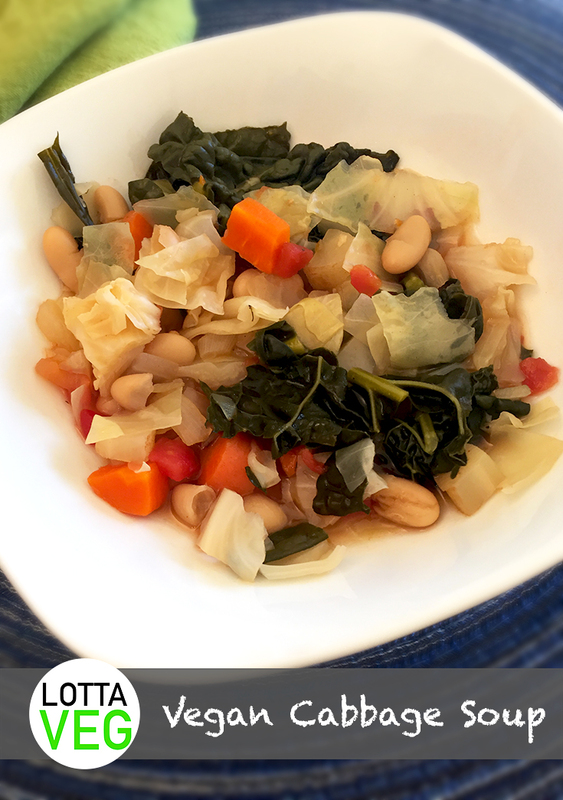 This Vegan Cabbage Soup is fantastic for your weight loss goals. It’s delicious, and two cups has 8 grams of fiber and 6 grams of protein, but only 112 calories! It also has 138% RDV of Vitamin A and 78% RDV of Vitamin C. How can you beat that?! Everyone could use a little more cabbage in their diets and this recipe is a delicious delivery system for it. To boost up the calories and make it a little heartier, try adding 3 or 4 diced potatoes when you add the cabbage. 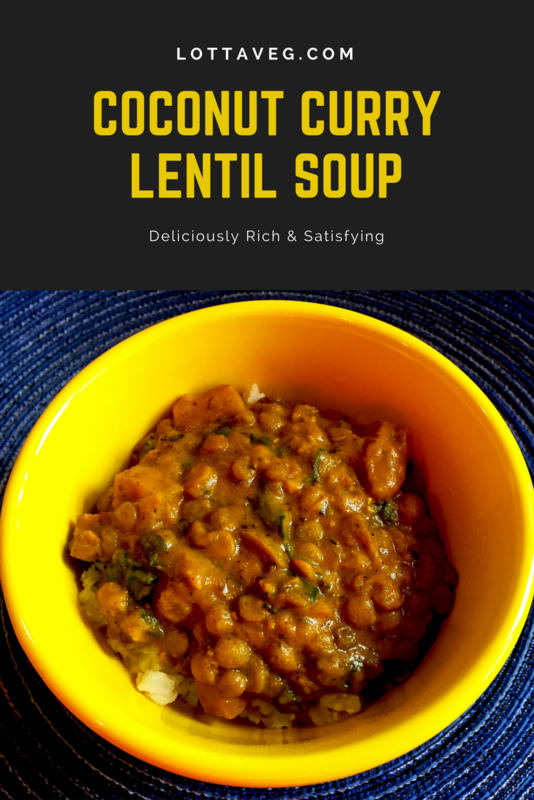 This soup will also go well with a nice Side Salad or a Vegan Baked Potato. 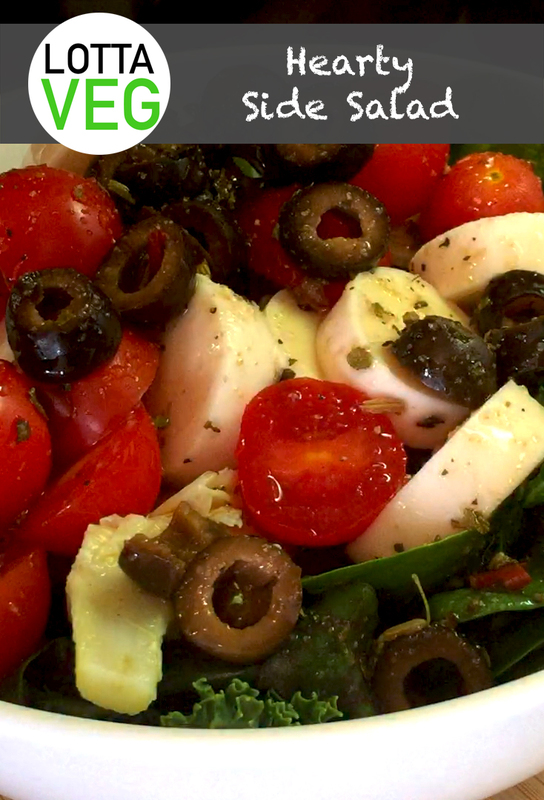 Note: We increased the seasonings to improve the flavor after we published the video. We recommend using the recipe instead of the video. 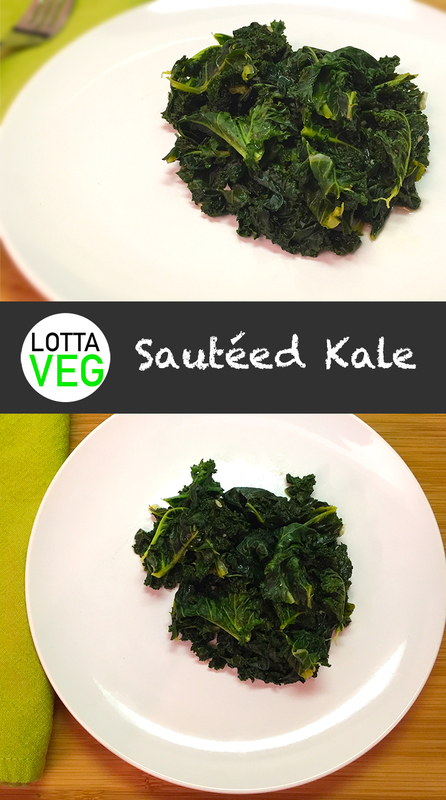 Enjoy this delicious and nutritious Sauteed Kale as a side dish with your favorite main dish or bowl of soup. Kale tops the list of superfoods because it’s loaded with antioxidants, Vitamin A, Vitamin C and a good amount of Protein. It helps fight and prevent some forms of cancer, and it even promotes urinary tract health [source]. Sautéing the kale softens it up and removes the bitterness that some people don’t like. Personally, I could eat kale everyday, sautéed or not. And I don’t like bitter foods. 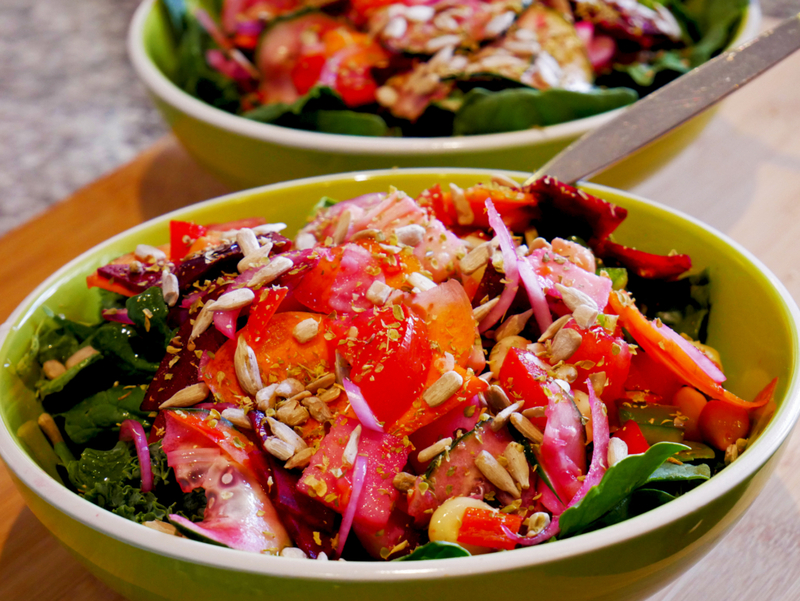 When prepared correctly, it tastes great and your body will thank you for feeding it all that nutrition. Try mixing up your kale recipes by using Dinosaur Kale or Red Kale when it’s available. 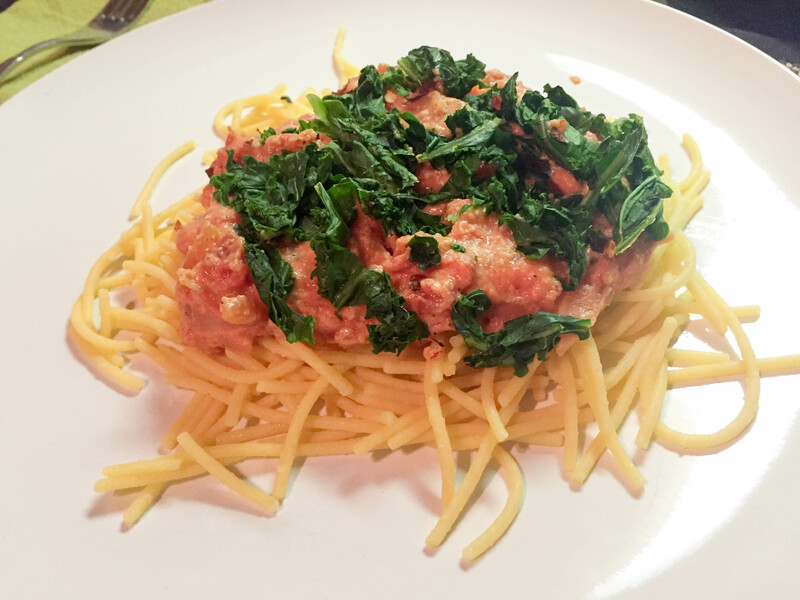 This Vegan Tomato Cream Sauce over spaghetti and topped with kale is rich, a little spicy and completely delicious. It’s also very nutritious with 11 grams of fiber, 15 grams of protein, 208% RDV Vitamin A and 171% Vitamin C. That’s pretty darn healthy for a tomato cream sauce! We used Ancient Harvest Gluten Free Supergrain Pasta™ Spaghetti noodles for this recipe since gluten bothers Amelia. To be honest, I couldn’t tell the difference. If anything, this pasta is a little richer than regular wheat pasta. If you’ve never had it, give it a try. You might like it better and it has more nutritional value. You’ll need the Vegan Cashew Cream recipe for this dish. Remember to soak the cashews 2 hours before you’re ready to start cooking. 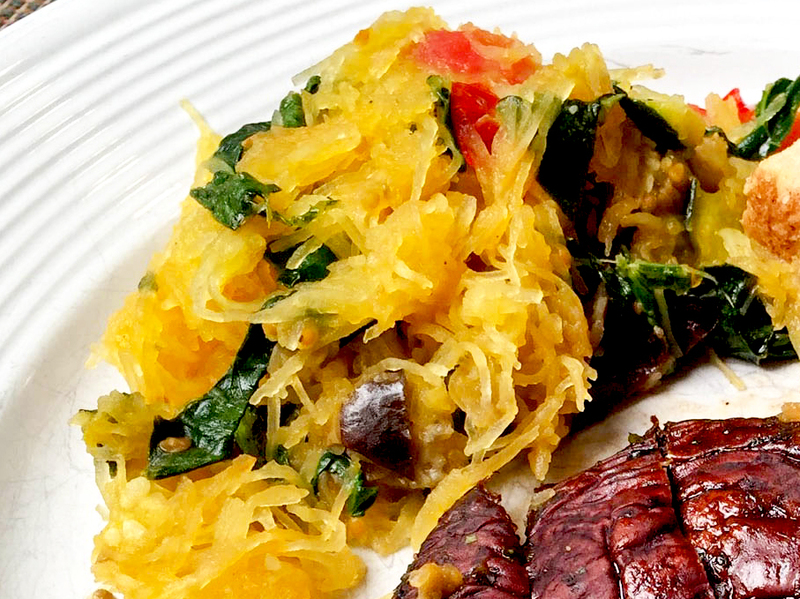 You can eat as much of this Sautéed Spaghetti Squash as your stomach can hold. It’s full of fiber and nutrients, but only has 85 calories per serving. 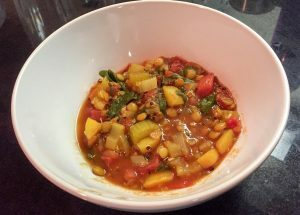 If you’re trying to lose weight, this recipe will help you achieve your goals without sacrificing flavor. This is another recipe that Amelia whipped up one day with some spare parts we had laying around the kitchen. We love to eat spaghetti squash because it’s low calorie but very filling so she’s always thinking about how we can utilize it in new and interesting recipes. This Sautéed Spaghetti Squash is a great main dish for lunch, or side dish with your Balsamic Portobello Mushroom Steaks. 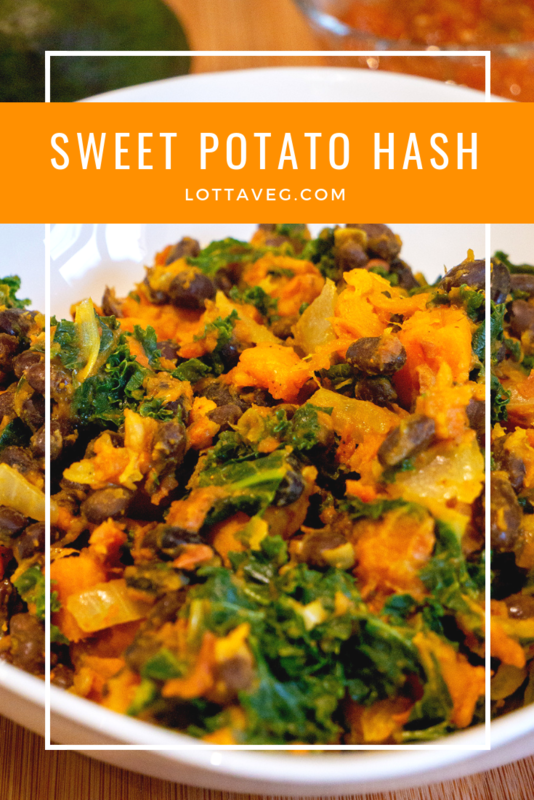 This Sweet Potato Hash recipe is a great main dish or side dish for your Tofu Scramble or in a breakfast burrito. The black beans and veggie sausage give it a little more flavor, texture and protein. We really like the fat-free Gimme Lean Sausage from Lightlife, but it’s not available here in Cuenca, Ecuador so we used Vegan Chorizo Sausage that we bought from Fratello Vegan. Rene, the owner, makes his chorizo oil-free with black beans. We had some extra kale a few weeks ago and thought it might go bad so we froze it. About 30 minutes before Amelia cooked this dish, she pulled it out of the freezer and let it warm up a bit. It worked perfectly in this dish. Kale is so durable that freezing doesn’t damage it. It has almost the same texture as fresh cooked kale, but maybe a tiny bit softer. 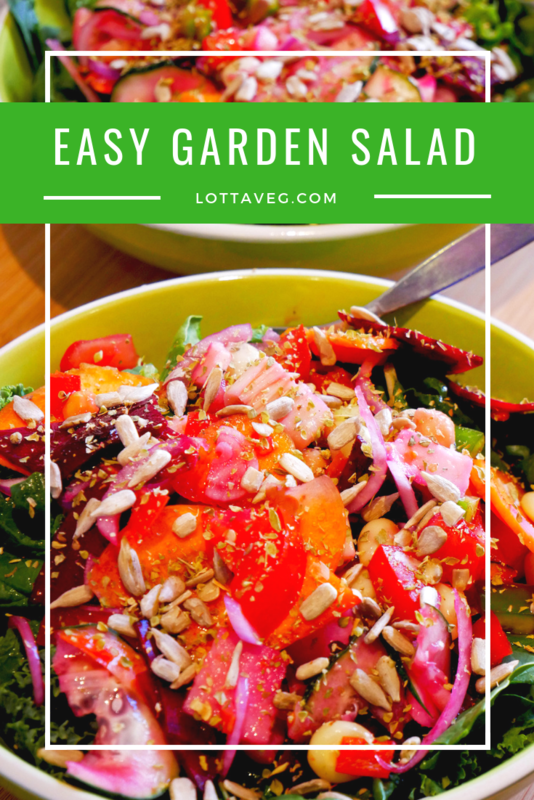 This recipe is a great way to get some extra dark leafy greens in your diet. Sweet potatoes are considered a super food by many because of their high fiber and vitamin content. In fact, this sweet potato hash recipe has 8 grams of fiber and 9 grams of protein, as well as 240% RDA of Vitamin A. Eating this dish for breakfast is a great way to start your day. Pair it with some warm corn tortillas, salsa and avocado to make it even more amazing! 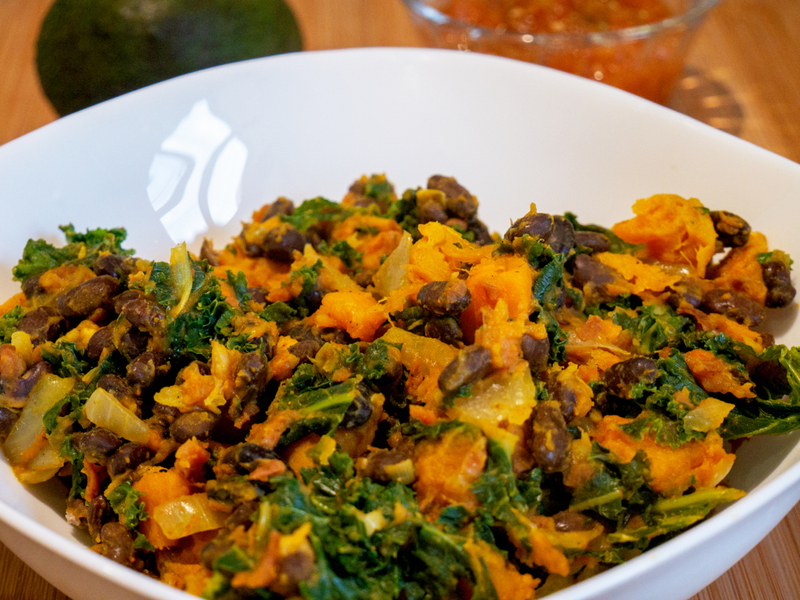 Vitamin A is fat soluble, so eating this dish with avocado will help your body get at all those healthy phytonutrients. This makes 4 servings as a side dish, but if you want to eat it as a main dish, it’s really only 2 servings. 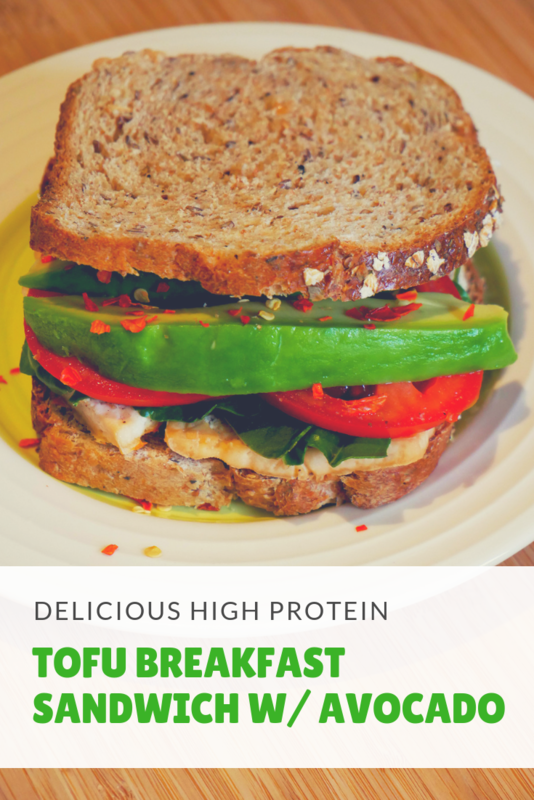 You can eat this delicious, high protein and nutrient rich Tofu Breakfast Sandwich naked (without the bread), as an open-face sandwich or as a full sandwich. This is a great, high energy way to start your day. Plus, it makes leftovers that you can quickly heat up for your busy morning schedule. We originally made this recipe with an english muffin, but it’s hard to find those without oil, milk and/or eggs so we switched it to a whole grain bread sandwich. Whole grains are healthier anyway. The bread in our pictures is a whole wheat bread with chia seeds. We get it from a local baker here in Cuenca, Ecuador called ArteSana Panadería y Pastelería. They aren’t a vegan baker, but they do make delicious vegan bread. We like to eat this as a breakfast sandwich, but you can eat it for lunch or dinner, too. We used to put vegan butter on our sandwiches until we realized how much oil and how many calories vegan butter has. Now we either buy really high quality bread that doesn’t need anything added to it, or we use a nut butter, jam or hummus, depending on what we’re eating. 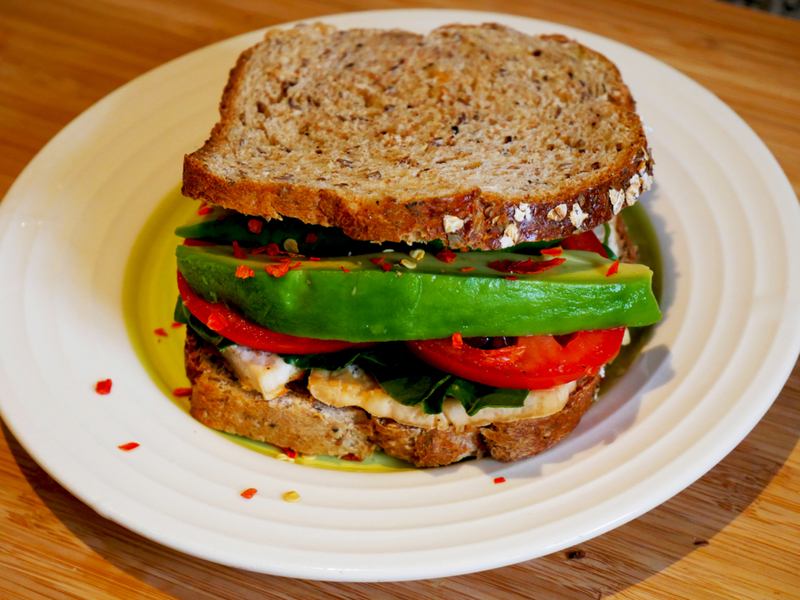 Some of our Vegan Hummus or White Bean Dip or Spread would go great on this tofu breakfast sandwich. This breakfast meal has 16 grams of protein, 8 grams of fiber, 19% RDA Iron, 50% Vitamin C and 14% Calcium. Pair it with a bowl of fresh or frozen fruit and this makes one filling breakfast. I can’t think of a better way to start your day than with a nutrient dense tofu breakfast sandwich like this. If you’re on a weight loss plan, you can skip the avocado to reduce the fat content and calories.